In her debut picture book, Misty Copeland tells the story of a young girl--an every girl--whose confidence is fragile and who is questioning her own ability to reach the heights that Misty has reached. Misty encourages this young girl's faith in herself and shows her exactly how, through hard work and dedication, she too can become Firebird. 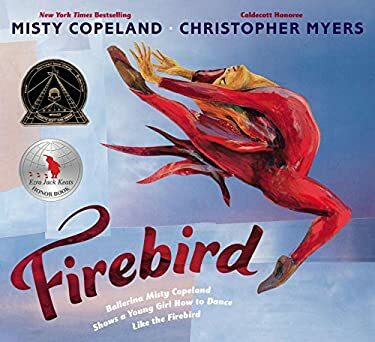 Lyrical and affecting text paired with bold, striking illustrations that are some of Caldecott Honoree Christopher Myers's best work, makes" Firebird" perfect for aspriring ballerinas everywhere.